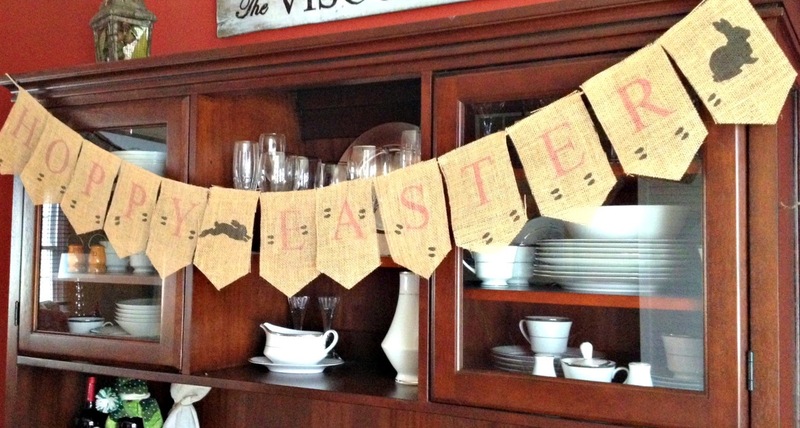 Two of my favorite things...burlap and bunting. When I combine the two - as I do pretty much every season - there's no limit to the possibilities. 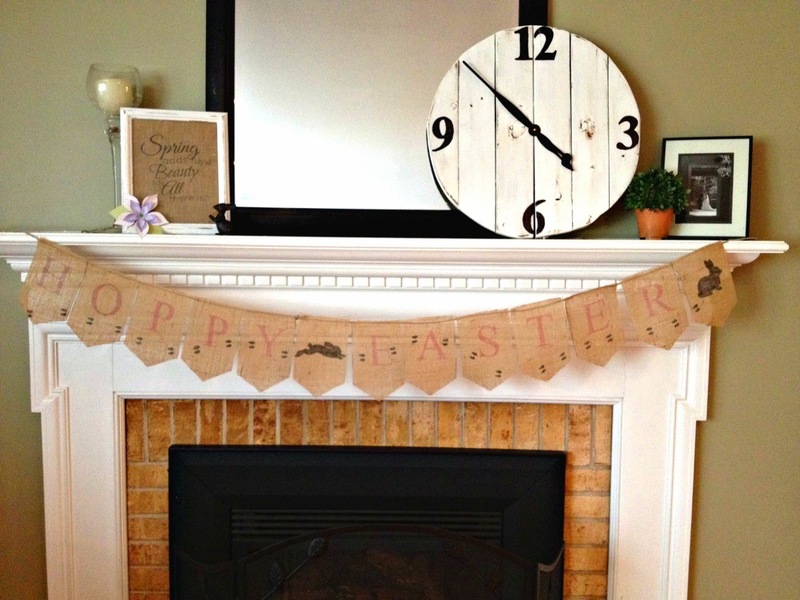 Of course, there are tons of Easter banner ideas out there, but I thought it might be cute to make a banner where it looked like a bunny was hopping across. I created my entire banner in Powerpoint. Using the line tool I created the flag shape on one slide and added the first letter. Then I duplicated the slide 7 times (2 flags per page, 13 letters, 2 bunnies) and changed the letter (or added a bunny) in each flag. Now is where the tricky party comes in - adding the bunny tracks. I used a dingbat font for my bunny track, but if you want to do a google image search, I'm sure you'll find something similar. If you want to use the same dingbat font as I did just download and install the "Animal Tracks" font from dafont.com. The "J"is a bunny print. I put two of them together and then copied and pasted them all over my flags. I put two sets of tracks on each flag and carefully positioned them so it looked like the bunny was hopping. Just be sure you don't put tracks up top on one flag and then have them on the bottom of the next flag or the tracks line will be off. For the bunny flags, I searched for two bunny images that looked like they could be the same bunny. I wanted one that was jumping for the "spacer" flag and one that was sitting for the end. LP Rabbits 1 font is a good place to start. 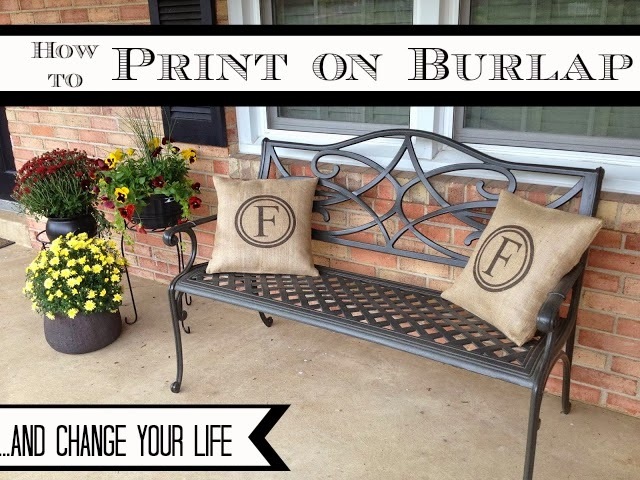 Once all the flags were set, I used freezer paper to print directly onto burlap. After all my flags were printed I simply cut them apart and use a hot glue gun to attach them to a piece of jute rope for hanging. In hindsight I wish I had used a darker font color so it showed up a little bit better, but I guess I'll just have to make another one...I can't have enough too much bunting, can I?